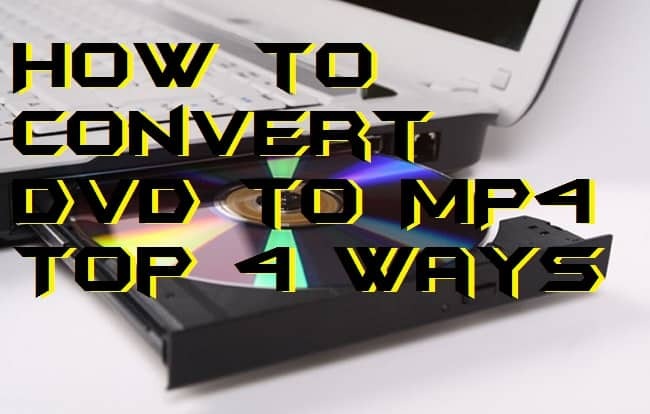 Hello friends, Today I will share four methods on how to convert DVD to MP4. Users can convert any DVD or CD to MP4 format and later use it on Windows, Android, iPhone or any other digital device. All the methods are free, and users can convert unlimited DVD to MP4. Having a vast collection of your favorite DVD’s and want to enjoy them on your Smartphone, PC and other devices. We all use to have DVD’s of so many movies, games, and much more. But, we can not use it to watch on our mobile phones, tablets or laptops. Then, this article is for you guys because here you will learn about how to convert DVD to MP4 in a straightforward manner. In this part of the article, you will learn how to convert DVD to MP4 using the top five different ways. These methods are very simple and very straightforward so that it will be easy for you in following the guide. If you want to convert DVD to MP4, then you need to have a laptop or PC for it. But, if you don’t have it, then you can get a DVD writer for external DVD use. Once you have the vital thing near to you, then you can start learning how to convert DVD to MP4. VLC is an open source and free media player application that is available for PC and mobile phones both. It not only plays a specific video for you but can also let you convert them in your desiring video format output. A user can easily convert DVD to MP4 using the VLC media player. The simple and straightforward method to convert DVD to MP4 using VLC is given in this subpart of the article. Insert the DVD on your PC/laptop. Now, open the VLC media player on your laptop or PC. Then, from the top left corner click on Media option. After that, click on the Open Disk option. Now, from the bottom right corner click Play then click Convert. At the conversion, windows click MP4 from the Profile tab. Then, select the path and name of the file. Finally, click on the Start button. Handbrake is the yet another open source and free media play application that allows you to play media as well as convert them in any video formats. You can not only convert DVD to MP4 using Handbrake but can also convert DVD to other video media output such as MP4, AVI, MKV, and more. Handbrake is available on many different platforms so that one can use it in any available device to convert DVD to MP4. A detailed step by step guide is given in this part. Get the Handbrake software on your PC/laptop. Now, insert the DVD and open the Handbrake app. Then, click on Open Source and then click on the DVD drive option. After that, select the Title and Chapters for the DVD file. Now, adjust the settings of the output vide and select the MP4 file format. Lastly, click on the Start button to convert the file. Wondershare Video Converter is a professional video toolbox that has many types of video conversions, editing, recording, downloading, and more features. This software is fully capable to convert DVD to MP4 file format. If we talk about the conversion file formats, then it has a vast list of conversion programs in it. So, why to wait for more, follow the step by step guide and quickly convert DVD to MP4. Get the Wondershare Video Converter LINK on your PC/laptop. Now, open the app and navigate to the pane: Convert > Load DVD > Select DVD drive. Then, from the top right side click on MP4 Video > Video > MP4 > Same as source. Finally, click on the convert button. Using an online website to convert DVD to MP4 is another excellent idea where the user does not have to download an install any software. The Convert.files is a simple online program that can convert DVD to MP4 very easily. Using this a person can convert DVD to MP4 from his or her device’s web browser. Not only this much, besides of it there are more conversions available at Convert.files. The full detailed tutorial is given at the below part of this section. On a web browser, open the website Convertfiles LINK. Now, insert the DVD on your PC/laptop. Then, click on Browse on the website and locate the file from the drive. Select more adjustments according to your and select MP4 for the output file. This was all about how to convert DVD to MP4 using the top five different methods. Because these methods are straightforward to follow so that I would like to recommend you that use any of the methods to do so. But, if you have some other way to do so then, of course, you can use it. I hope using this article you have learned about how to convert DVD to MP4. 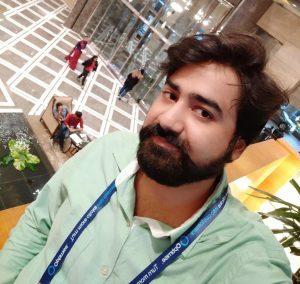 You can share this article with other guys and the girls so that they can also learn how to convert DVD to MP4 and can watch DVD’s movies in mobile, tablets as well. Paper vs Electronic: Which Check Can You Count On?